An audio file of this morning’s sermon is available for listening or downloading at this link. The Scripture readings are Genesis 6-9, and Matthew 24:36-39. A downloadable PDF file of the worship bulletin is available at this link. “This isn’t just a story about God’s judgement against evil. It’s also about God’s patience with the world. In fact, that’s what it’s mainly about. That’s why it moves so slowly. The true message of this story is not that God changed his mind about creating human beings and decided to wipe us all out. The most important point of this biblical story is that God in his judgement finds and saves Noah and his family. 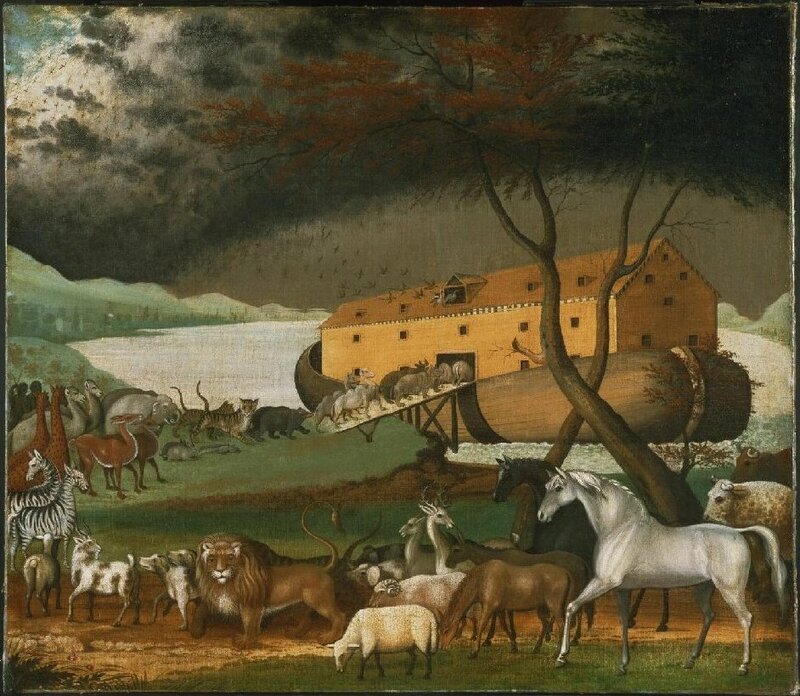 “And this is not because Noah was an exception to the usual run of human beings. It’s not that Noah and his family and the particular animals who came into his ship were different from the rest of the world. It’s not that this family is good while all the rest are evil. In fact, the story of Noah and his family after the flood shows that if anything they were as problematic and dysfunctional as any family, worse than most, in fact. The Bible doesn’t present Noah and his family as pious angels strumming their harps on the corner of a cloud.